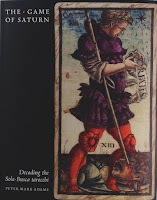 A bad witch's blog: The Sola Busca Tarot - An Ancient Dark Rite Encoded? 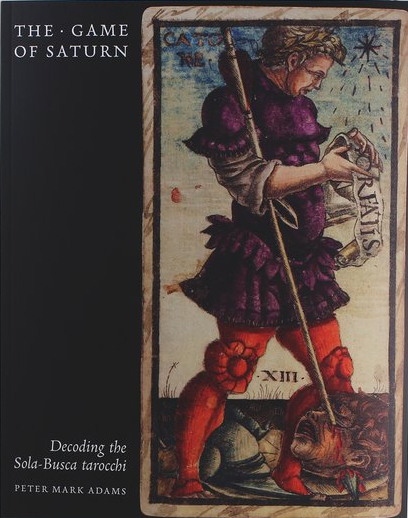 The Sola Busca Tarot - An Ancient Dark Rite Encoded? 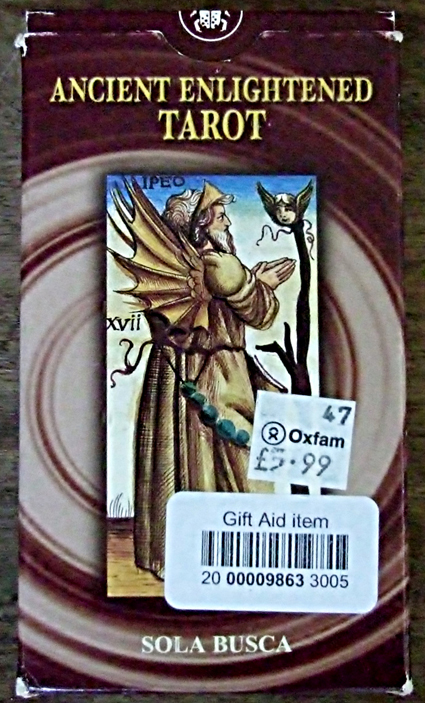 Finding a copy of the Sola Busca tarot in a charity shop, while on a shopping trip to Glastonbury a couple of years ago, probably counts as one of my luckiest finds. It cost me just £5.99 for the deck together with Sola Busca Tarot paperback book by Sofia Di Vincenzo. Sadly, despite being delighted to have got such a bargain, I was never able to bring myself to use the deck. I opened the box several times and got the cards out, but it just didn't feel right to attempt any kind of reading with them. The deck and book then sat unused in my collection of tarot cards. This was a unique experience for me. I have lots of decks. While I find some tarot cards easier to use than others, the Sola Busca is the only deck in my collection that I've never used for divination - not even once. A talk at the Museum of Witchcraft and Magic conference on ritual magic last week helped me understand why I had felt so uneasy that I'd not wanted to do even one single-card reading with the deck. Peter Mark Adams, the author of a new book The Game of Saturn: Decoding the Sola-Busca Tarocchi, explained that the images on the cards are actually encoded details of an ancient ritual. This, he said, "uses sexual energy to draw on the power of a malefic entity". Rather than being for gaming, or even just for divination, they were more like flash cards instructing how to conduct a dark rite for power. Looking at the pictures in detail, I'd say they are 'flash' cards in slightly more than the educational sense, too. No wonder I didn't want to use them - at least without understanding them first. The original Sola Busca tarot dates back to Rennaissance Italy and is one of the earliest surviving tarot decks. 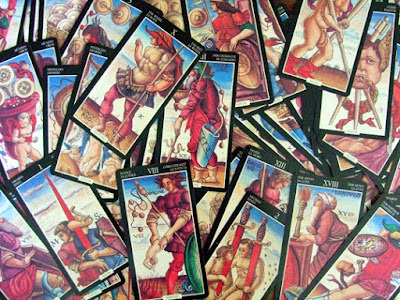 Peter said that, unlike most early tarocchi sets, the Sola Busca was not intended for playing games. It was designed by a master engraver and was given as an expensive gift from one ruling family to a member of another. There have been a few modern reproductions of the deck. The set I bought extremely cheaply is called the Ancient Enlightened Tarot and only has Sola Busca in small letters at the bottom of the pack. You can see the box my copy came in top right, and the cards I own at the top of this post. Although the Ancient Enlightened version I've got is quite rare, Peter explained to me it isn't such a good quality reproduction as the new Scarlet Imprint version, called the Sola-Busca Tarocchi. His new book also goes into the true meaning of the cards in greater depth than the one I picked up in the charity shop. I hope I get a chance to read his book some time. You can view the Ancient Enlightened Tarot (Sola Busca) on Amazon and view the Sola-Busca Tarocchi on Scarlet Imprint. Whatever you do, don't refer to the booklet (LWB) that comes with the Ancient Enlightened Tarot. It is basically a generic tarot booklet that has *nothing* to do with the Sola-Busca, and doesn't even match the cards. I bought an expensive reproduction a while back by Giordano Berti and I'm glad I did. Worth every penny to have a good copy of this fascinating deck. Thanks for the advice about the leaflet!